In cells and living organisms, the fluids surrounding and within the cells is kept at a constant pH. The pH within this system is often crucial for the biochemical reactions occurring within the organism. To study biological processes in the laboratory, scientists use buffers to maintain the correct pH during the experiment. Many biological buffers were originally described by Good and colleagues in 1966 and are still used in laboratories today. A buffer is simply a solution containing a weak acid and its conjugate base. When an acid is added to the buffer, it reacts with the conjugate base making a weak acid and hardly affecting the pH of the solution. A number of characteristics make a biological buffer effective. They should be soluble in water, but not soluble or minimally soluble in organic solvents. The buffer should not be able to pass through the cell membrane, as this could affect cell behavior. Buffers should be non-toxic, should not absorb UV radiation and should remain inert and stable throughout the experimental process. Temperature and ionic composition should not alter pH or buffering capacity. The chosen buffer should have a pKa in the range optimum for the process under study. A buffer with a higher pKa is appropriate if there is likely to be an increase in pH during the experiment, and vice versa if the pH is expected to fall. Buffer concentrations should be optimized, as concentrations higher than 25mM may have better buffering capacity but may inhibit cellular activities such as enzymes. The method also dictates which buffer to use; for example, in electrophoresis, a buffer with a low ionic strength is appropriate to prevent the gel matrix from heating up. Because pH can alter with temperature changes, scientists should test the pH of the buffers at the temperature at which they will conduct the experiment. Tris is a buffer especially susceptible to change in pH with temperature. All pH meters should be calibrated at the working temperature. Additives can also alter the pH, making retesting necessary. 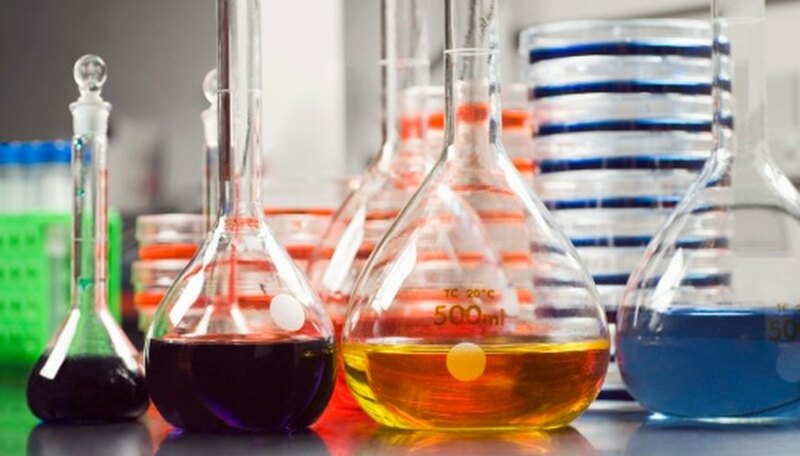 To alter the pH an acid, usually hydrochloric acid, or base, usually sodium or potassium hydroxide, is added; this should be done slowly to prevent inactivation or chemical changes in the buffer. TE buffer, which is 10 mM Tris · HCl and 1 mM EDTA, is appropriate at a number of pH values for the storage of nucleic acids. Electrophoresis is a common method for the study of proteins or nucleic acids; this process uses a number of buffers, including Tris-acetate-EDTA, Tris-glycine and Tris-borate-EDTA buffers. These buffers prevent the heating of the gel matrix and can contain additives such as urea and SDS, depending on the investigation. Based in London, Kerstin Cunningham has been writing for medical and science journals since 1992. Her reviews and research publications have appeared in a number of peer-reviewed journals. She holds a number of qualifications, which include nursing, an LLM in medical law and ethics and a Ph.D. in science. Why Is It Important to Calibrate a pH Meter and Its Electodes Against a Buffer? Cunningham, Kerstin. "What Are Biological Buffers?" Sciencing, https://sciencing.com/biological-buffers-8350868.html. 25 April 2017.